SRA Home Products invites Downingtown, Pennsylvania, homeowners to browse our wide selection of innovative sunroom additions. 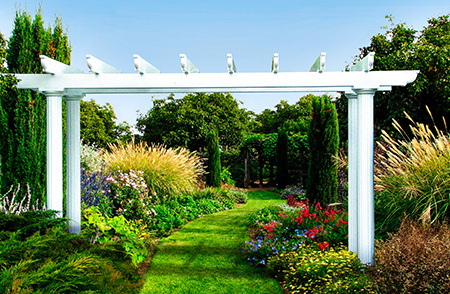 We’re proud to exclusively install outdoor living products manufactured by TEMO, the nation’s largest sunroom manufacturer. Thermal roofs — These roofs deflect the sun’s rays, helping to keep you cool and protected from ultraviolet exposure. Plus, the roofs are constructed using interlocking panels, which provide structural integrity and prevent leaks. HPG 2000 glass — Our sunroom additions include HPG 2000 glass, which offers an SPF of 59 (upgradeable to an SPF of 85). This remarkable glass is also four times stronger than annealed glass, offering you peace of mind during strong windstorms. Reinforced doors — The doors on our sunrooms feature welded corners that offer reinforcing commercial strength, as well as dual door sweeps that help to protect against the elements. 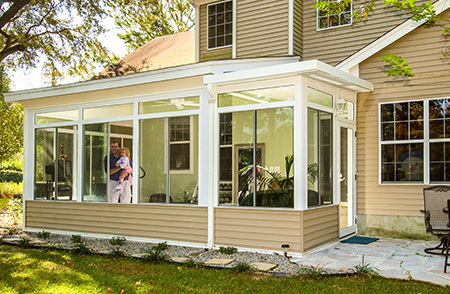 Downingtown, PA, homeowners can rest easy knowing that our sunroom additions are constructed using heavy-duty, fully extruded aluminum, which is stronger than wood, vinyl, and roll-formed aluminum. 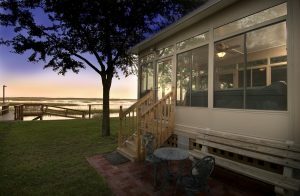 In fact, our sunrooms are certified to meet national engineering standards for winds of up to 110 miles per hour. The aluminum also helps to extend the life of your sunroom, as it resists insect infestation, deterioration, and rotting. Our sunroom additions also come with a TEMKOR polymer coating that guards against chalking, fading, scratching, peeling, cracking, denting, and warping. For more information on adding one of our sunroom additions to your Downingtown, PA, home, please contact SRA Home Products today.